Whether you are moving into your new home, or would like to redesign your current home, we can perform our magic with your existing furniture and accessories, new purchases, or from scratch. Turn ordinary spaces into favorite places for less than you think. Call today for details……..213-785-2916. It is reported that over 80% of buyers now use the internet to preview home photos befpre making a decision to visit a home! Fantastic showing photos not only draw more traffic to your home but staging actually changes buyers’ perception of how much your home is worth. Our consulting services help many homeowners and investors with advice and solutions to make the wisest selections for their remodeling projects and flips. Whether you would just like help selecting paint and accent colors or guidance in determining the best material selections within your budget, we will help you achieve the look and style you are seeking to achieve. We have saved many an owner thousands, if not tens of thousands, with our expertise in choosing the most appropriate direction based on your desired outcome. Many options are available when deciding how to go about having your home Professionally Staged. For Do-it-Yourselfer’s, Style My Space can provide you with a Customized Staging Plan detailing the professional suggestions that will bring you top dollar for your home, starting at just $100. If it is a full service staging you seek, our team will attend to every staging detail to ensure your fastest sale. We are able to do this by rearranging your current furniture and accessories to create a dynamic presentation. We can also provide additional pieces if needed, with the goal of replicating a designer environment buyers are drawn to and tend to write higher offers for. This service also starts at just $150 and the best news is, you can name your staging budget. Our team will work within your budget to do as much staging in the critical areas as your budget dictates. According to HomeGain.com, home staging yields a 583% return on investment! It Pays to Stage! 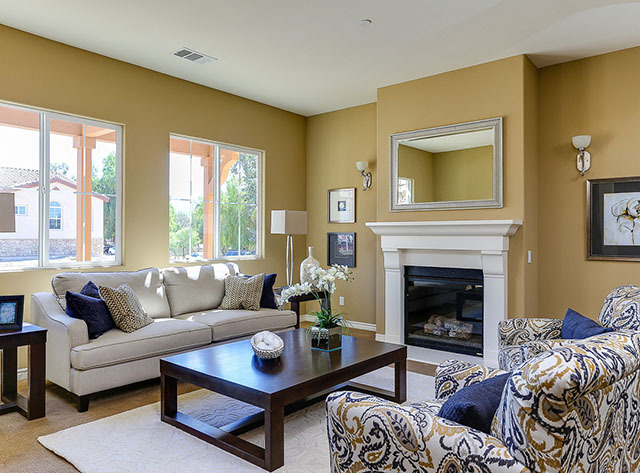 If your home will be vacant when you sell, having it professionally staged with furniture and accessories can sell it 2-3 times faster than homes that are not staged. When a home is not staged, buyers can only notice the condition of walls, floors and fixtures which may need updating. Staging boasts a whopping 576% return on investment and can be a tax write off! In addition, agents usually tour homes as they first come on the market. The impression they have of your home has a direct effect on whether they bring prospective buyers through your home. Agents representing buyers only receive commission when buyers make a purchase and will likely take their buyers to the best showing homes to ensure a swift sale.